#139: Random General Conference Talk Generator (mormono.com/rct). A few months ago I discovered a great website: mormono.com/rct that links you to a random General Conference talk from any past General Conference. You can also select a random talk from just the most recent Conference if you don't want to listen to older talks. However, for me, listening to older talks has been really awesome. 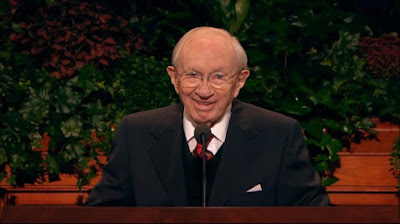 Tonight I was linked to a talk from 1995 given by President Hinckley at the General Relief Society meeting titled "Stand Strong Against the Wiles of the World" shortly after he was called as President of the Church. I never would have looked for this talk on my own, but thanks to Mormono, I was able to discover it. Mormono also has links to a random chapter of scripture from the full standard works, from the full standard works minus the Old Testament, or from just the Book of Mormon. I don't know who created Mormono, but whoever you are, thanks! #138: Becoming a Christlike Father. In honor of Father's Day, I got the opportunity to speak in Sacrament meeting today. I thought I would share it with you. Happy Father's Day! If I could choose one quality to inherit from my dad…besides his roguish good looks….it would have to be his sense of humor. My dad is one of the funniest men I know. In fact, my friends and I have developed a rating system for measuring the humor level of a joke in honor of my dad. We call it the “Dave Scale”. Laffy Taffy puns are a 1 on the Dave scale. A joke that makes you laugh out loud is a 3. And a joke that earns a 5? It’s gotta be the best joke of your life. I’m grateful that my dad could be here today and I want to wish him a happy Father’s Day and remind him it’s just like Mother’s Day, except I didn’t spend as much. Whether it be the inspiring courage of Atticus Finch in "To Kill a Mockingbird" or the less inspiring parental tactics of Darth Vader, there are examples of both good and bad fathers readily available for us to learn from. In the scriptures, we read about Adam, our first physical father and also the father of our faith. We read about David who may have been a mighty king, but not necessarily a very good father. We read about Lehi who was willing to leave everything he had to protect his family. These fathers, among so many others, set an example for good or bad of fatherhood. In addition to these real life fathers from the scriptures, Jesus once shared a parable about a father and two sons. Found in Luke chapter 15, we usually refer to this story as the parable of the prodigal son. However, I would like to take a different perspective today and call it the parable of the Christlike father (original idea from a sermon by Pastor Jim Henry, “The Parable of the Perfect Father”). This son surely knew that he could ask his father for such an important thing because his father was approachable. As a father, one of the greatest gifts you can give your children is to listen to them. When you listen to what they say, you're letting them know that “you are important to me.” Isn’t this how our Heavenly Father is? He is available to us day or night in any circumstance if we are simply willing to reach out to Him in prayer. Continuing in verse 12 of the parable, we see that the Christlike father complied with his son’s request by “dividing unto him his living”, which leads to the second lesson from the parable. You may ask, ''Didn’t the father know his son was going to waste his inheritance?'' As Pastor Henry put it, “When your child approaches you and asks you to do something that you know is against everything they'd been raised to believe and do; you know they're going to go out there and get into trouble”, shouldn’t you stop them? I personally think that before giving his son his inheritance, this Christlike father did all that he could to persuade his son not to go and squander it. He wanted his son to stay, to be happy and to succeed. But this father came to a point where he knew his son’s mind had been set. His son had a legal right to his inheritance and ultimately he would not stop his son. Similarly, I believe our Heavenly Father tries to warn us. He has given us the scriptures, our leaders, our families and friends, and the companionship of the Holy Ghost. But He is also a God who allows us to make our own choices, no matter how wrong they may be. And when we come and say, ''I want this—I want what’s mine'' God allows it because he loves us and values our agency so much. I’m not trying to say that as fathers we should give into every request we receive from our children, because that’s certainly not the case. But what I am trying to say is that like our Heavenly Father, once we have done all that we can to teach and raise our children in righteousness, once the time is right, we must allow them to make their own choices, just as our Heavenly Father does for us. Notice that in addition to being an approachable and consenting father, he was also an awaiting father. The father wasn't back at home watching the NBA finals. As described by Pastor Henry, “I don't know how long that boy had been gone, but the father was still looking down that road to see when the penitent prodigal was going to come home. Suddenly he saw that figure coming. The clothes were not the same ones he went off with, his face had the lines of sin upon it, but he knew that walk anywhere. That was his boy! What did the father do-? Did he say: ‘I'm just going to sit here on the porch and when he comes home, I'm going to say, ''All right -- you see there. You got what you deserved.’” No. This father didn't do that. He ran down the road running to meet his son. Notice now that this Christlike father is a forgiving father. His son began to say “Father, I have sinned against heaven, and in thy sight, and am no more worthy to be called thy son.” But the father instead said to his servants, Bring forth the best robe, and put it on him; and put a ring on his hand, and shoes on his feet: And bring hither the fatted calf, and kill it; and let us eat, and be merry: For this my son was dead, and is alive again; he was lost, and is found.” A Christlike father is able to forgive the mistakes of the past. One final lesson I learned from this parable relates to the interaction this father had with his older, more faithful son after his younger brother returned home. Verse 25 reads: Now his elder son was in the field: and as he came and drew nigh to the house, he heard music and dancing. And he called one of the servants, and asked what these things meant. And the servant said, Thy brother is come; and thy father hath killed the fatted calf, because he hath received him safe and sound. And the elder son was angry, and would not go in: therefore came his father out, and entreated him. And his father said unto him, Son, thou art ever with me, and all that I have is thine. For me personally, becoming a father has been the greatest blessing in the world. After seven years of trying to have children, Diane and I were blessed with our daughter. I am so thankful for Diane. She never gave up on having a family and she is a wonderful mother. Our little girl is the light of my life and I eagerly look forward to “Dadderday” each weekend when we get to spend the day together. I never thought I could love someone as much as I love her. I hope it gives me a slight glimpse into the way our Heavenly Father feels about each of us. #137: New 3rd Hour Meeting Manual. 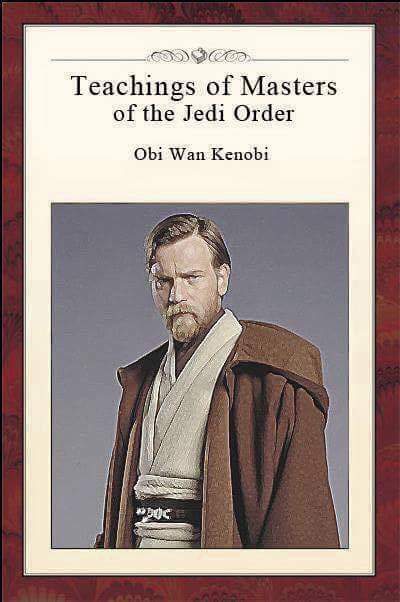 I take no credit for this, but man, I love it. #136: VidAngel.com - Edited Movies Done Right! I like movies (duh, name of blog). They make me laugh, they make me cry, and they usually make Diane fall asleep. As a kid, my parents wanted me and my siblings to watch movies which they felt were appropriate and would not be offensive due to bad language, sexual content, or extreme violence. In fact, my mom even wrote an Ensign article about good media choices back in 2001 (way to go, mom!). As a result, I still try to watch movies that are generally wholesome and family friendly. However, sometimes I am tempted to watch something that I know I shouldn't (particularly, something that is rated-R or PG-13 that obviously should be rated R). 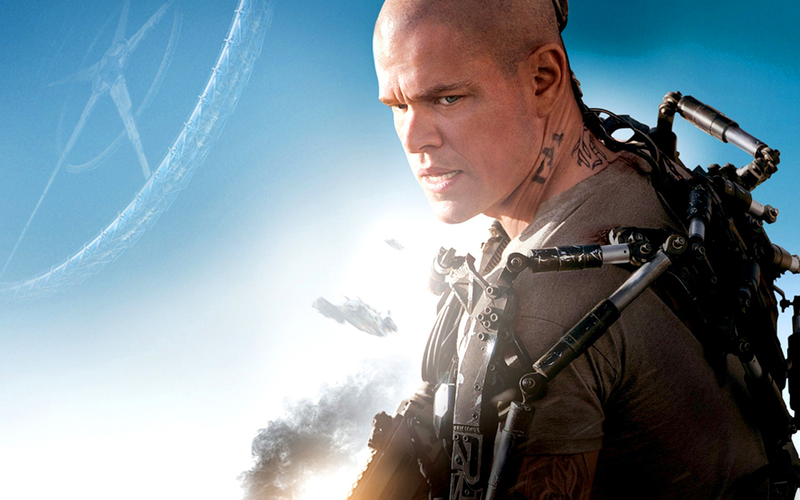 In the past, I would usually just miss out on these movies or read about their plots on Wikipedia so I would at least have some idea what they were about (here's looking at you Elysium). Well, last year I stumbled across vidangel.com, a fantastic website that allows me to watch edited digital movies through YouTube or Google Play. VidAngel is particularly awesome because it is 100% legal (unlike buying a copy of an edited movie) and has a partnership with Google. The video below can describe it much better than I can, but let me just say that I have been particularly pleased with the service. My favorite part is that you can customize the filter--you get to choose which swear words, types of sexual content or violence that you are comfortable with. VidAngel is currently in private beta mode, but if you use the link above, you can give it a try (plus, I get a free movie if you watch one). Through VidAngel, you can watch newly released movies for $2 in HD (after the buy-back credit--again, see video below). You can also follow what the company is currently up to on their blog. A few weeks ago, one of our good friends shared the following talk about maintaining a testimony through trials, With her permission, I would like to share the talk with you. I am so glad to be on the earth today. The gospel is rolling forth to fill the earth and we look forward to the second coming of Jesus Christ. But with all the wonderful things that are happening, we also know that life brings trials for everyone. It is a necessary part of our progression and the Plan of Happiness. These trials come in many different forms and they try our testimony of Jesus Christ. The bishop asked me to share with you today how we can strive to maintain a testimony through difficult times. I’ve spent my whole life building a testimony. It is a process that I continue today. I’ve had many wonderful teachers, friends, and family members who have influenced me for good. My testimony comes through diligence in doing all the things I was taught in Primary: prayer, scripture study, church and temple attendance. Those things never change. 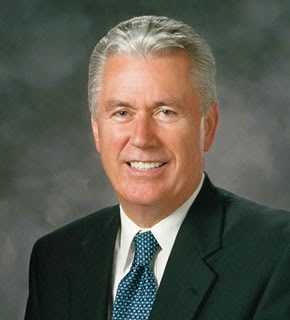 President Uchtdorf said of testimonies, “"Let us acknowledge that most often gaining a testimony is not a task of a minute, an hour, or a day. It is not once and done. The process of gathering spiritual light is the quest of a lifetime...Some may say that the steps are too hard or that they are not worth the effort. But I suggest that this personal testimony of the gospel and the Church is the most important thing you can earn in this life. It will not only bless and guide you during this life, but it will also have a direct bearing on your life throughout eternity” (“Receiving a Testimony of Light and Truth,” Oct 2014 General Conference). This past week I pondered some different personal trials and how my testimony helped me through them. I selected three that I would like to talk on: parenting, standing for truth, and losing a loved one. First, I will start with parenting, which is the hardest thing I’ve ever done. When I first became a mother, my husband and I were living in Ann Arbor, Michigan. We were far from family and had limited communication with them, not like we have today. I remember feeling stressed and worried about taking care of my first child. First of all, would she survive? Was she eating enough? Was she supposed to cry that much? How do we get her to sleep? Over time my worries shifted from the children’s physical needs, to their spiritual and emotional needs and character development. Would I be a good mother? Elder Neil L. Andersen taught how we can face difficult situations, “How do you remain “steadfast and immovable” during a trial of faith? 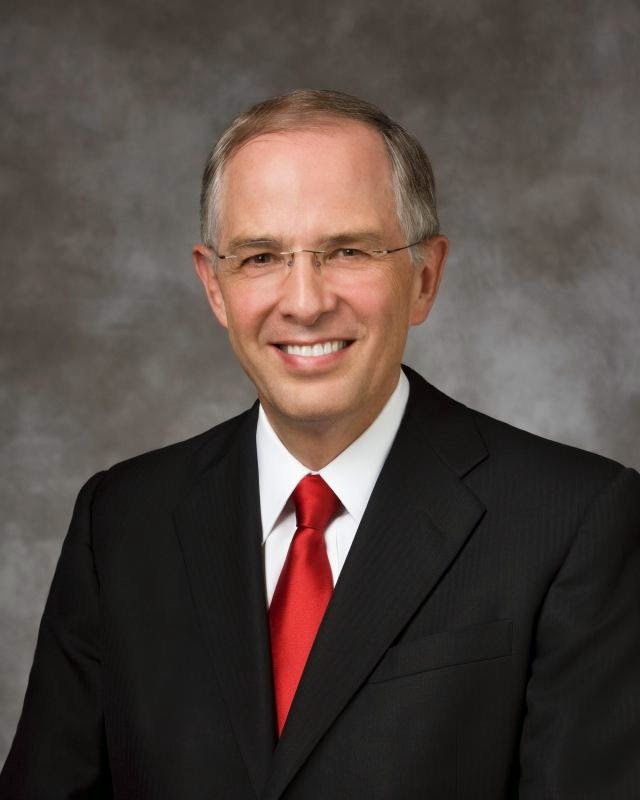 You immerse yourself in the very things that helped build your core of faith: you exercise faith in Christ, you pray, you ponder the scriptures, you repent, you keep the commandments, and you serve others” (“Trial of Your Faith,” Oct 2012 General Conference). I continued to study my scriptures and pray daily, just like I had done for so many years, and that brought me strength. It is amazing how reading the same passage of scripture, even the most unlikely passage, can bring very different answers to you at certain times in your life. During that first month of my daughter’s life, I was in the book of Alma reading about Ammon’s mission to the Lamanites. This scripture spoke peace to me one morning over eleven years ago and still speaks to me today in the midst of raising six kids and the many challenges that come with it. “But behold, my beloved brethren, we came into the wilderness not with the intent to destroy our brethren, but with the intent that perhaps we might save some few of their souls. Now when our hearts were depressed, and we were about to turn back, behold, the Lord comforted us, and said: Go amongst thy brethren, the Lamanites, and bear with patience thine afflictions, and I will give unto you success. And now behold, we have come, and been forth amongst them; and we have been patient in our sufferings, and we have suffered every privation; yea, we have traveled from house to house, relying upon the mercies of the world—not upon the mercies of the world alone but upon the mercies of God” (Alma 26:26-28). As Nephi taught, I likened this scripture to myself: Saving souls is like bringing children into a temple marriage. Yes, there will be days when you will be depressed, feel in effective, overwhelmed by your weaknesses, and want to give up; but don’t turn back. Continue to be patient during your trials. 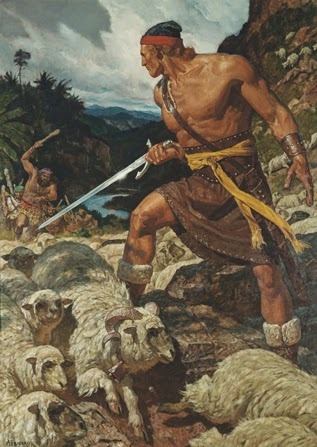 If the Lord can use Ammon and his brethren to convert thousands of ferocious, hard-hearted Lamanites to the gospel, then He certainly has the power to help you raise righteous children. Rely on Jesus Christ, his mercy and his grace. And so I do, everyday as a parent. Other trials may come when we are asked by church leaders to stand up for truth in the face of sometimes hostile opposition. During 2008 when we were living in Sacramento, the church asked the members in California to actively campaign for the passage of Proposition 8 to affirm traditional marriage. Not only were we asked to make significant financial contributions to this campaign, but also to contribute our time making phone calls, knocking doors, and displaying signs in yards and on street corners to bolster support for this measure. Even though at times I wanted to shrink (and just quietly vote at the ballot box), I knew that our direction in this campaign was coming from the prophet. I knew the prophet was the mouthpiece for Jesus Christ on the earth. I knew that upholding traditional marriage was important in the church and in our society. There were bright moments along the way, where we united with neighbors of other faiths in our stance on marriage. I also had meaningful conversations with some voters on the phone about the importance of traditional marriage in society. I was sharing my testimony of marriage in that campaign. In the end Prop 8 did pass, though later overturned, and I knew it was thanks to faithful Mormons all over the state who heeded the prophet’s call to defend traditional marriage. Being a part of the Prop 8 campaign turned into a spiritual experience for me, though a fiery one. I don’t think that is the end of battles we as church members must fight as the distance between the world’s view and the church’s view continues to widen. Finally, many go through the trial of losing a loved one, like we have recently in our own ward. This is one trial that I have not had to bear firsthand, but I marvel at those around me who have. As my husband shared in his talk a few months ago, we had the difficult experience of losing our Bishop’s young wife suddenly and unexpectedly over two years ago. This hit me so hard, because we were friends who lived on the same street, we were the exact same age, and had the same number of children, many of whose ages overlapped. For weeks, I mourned heavily over this loss because I knew the many things that I did for our family in our home. I didn’t understand why it had to happen. Why wasn’t she healed? Why was she appointed to die? I wondered how that family would survive this trial. How would they remain strong? How would they function from day to day? How could we as neighbors and friends help them? 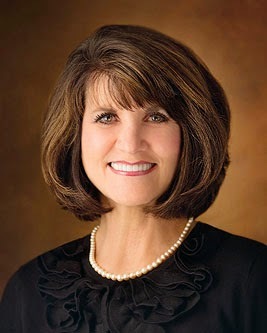 I was touched when our stake president challenged us in this difficult time that instead of asking "why" and pondering the unfairness of the situation, that we should look for ways to be grateful for the time we spent with Kim and how she impacted our lives. This was great counsel. With prayer and gratitude for Kim’s life, we all pressed forward, just like we will do again in this ward. I prayed for that family with all my might and strength. I fulfilled every service opportunity given to me on their behalf. The spirit told me that God had a plan for that family, even if I couldn’t see it. I knew God loved them immensely and I knew God loved Kim, even if he had to take her physically from the earth away from her children. After this painful loss, our ward and the extended family pulled together to supported them in every possible way. We watched as our bishop and his children never faltered in their church activity. He showed up the very next Sunday with all of his children to conduct sacrament meeting. It was the Primary Program and all of his children in Primary sang so valiantly. The spirit was so strong that day, and we were all lifted by the faith and testimony of that family. Elder Andersen gives us life-saving counsel in our trials: “When faced with a trial of faith—whatever you do, you don’t step away from the Church! Distancing yourself from the kingdom of God during a trial of faith is like leaving the safety of a secure storm cellar just as the tornado comes into view….It is within the sanctuary of the Church that we protect our faith. Meeting together with others who believe, we pray and find answers to our prayers; we worship through music, share testimony of the Savior, serve one another, and feel the Spirit of the Lord. We partake of the sacrament, receive the blessings of the priesthood, and attend the temple. The Lord declared, ‘In the ordinances … , the power of godliness is manifest.’ When you are faced with a test of faith, stay within the safety and security of the household of God. There is always a place for you here. No trial is so large we can’t overcome it together”. What a beautiful promise from an apostle of the Lord. I like how he uses the pronoun “we.” WE are in this together. At baptism we make that important covenant “to bear one another’s burdens, that they may be light... to mourn with those that mourn; and comfort those that stand in need of comfort” (Mosiah 18:8-9). I know of many other stories like this throughout the church. Another example was shared in a past General Women’s Meeting where they showed a video of sisters from around the world sharing their testimony of the temple. One sister from Haiti shared the experience of losing all six of her children in a devastating earthquake. My heart just ached at the emptiness she must feel in their absence. But she continues to endure to the end, and she finds peace in attending the temple and praying to God. In General Conference Sister Jean A. Stevens taught, “The gospel of Jesus Christ is not a checklist of things to do; rather, it lives in our hearts. The gospel is not weight; it is wings. 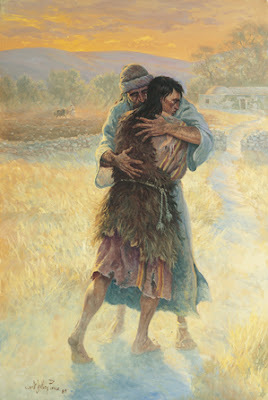 It carries us” (“Fear Not; I Am with Thee,” Apr 2014 General Conference). A strong testimony can carry all of us through our darkest days. “The perfect place to begin is exactly where you are right now. It doesn’t matter how unqualified you may think you are or how far behind others you may feel. The very moment you begin to seek your Heavenly Father, in that moment, the hope of His light will begin to awaken, enliven, and ennoble your soul. The darkness may not dissipate all at once, but as surely as night always gives way to dawn, the light will come" (The Hope of God’s Light”, Apr 2013 General Conference). I am thankful for a strong testimony of Jesus Christ and his gospel. I know my testimony is something that I will continue to build and strengthen my entire life. My testimony points me to Jesus Christ. I know it is through Jesus Christ and his grace that I can overcome the trials I face in this life. He is my rock and sure foundation (Helaman 5:12) that will anchor me in the storms of life. In the name of Jesus Christ. Amen.